Byron Bay NSW Australia, the perfect place for whale watching. 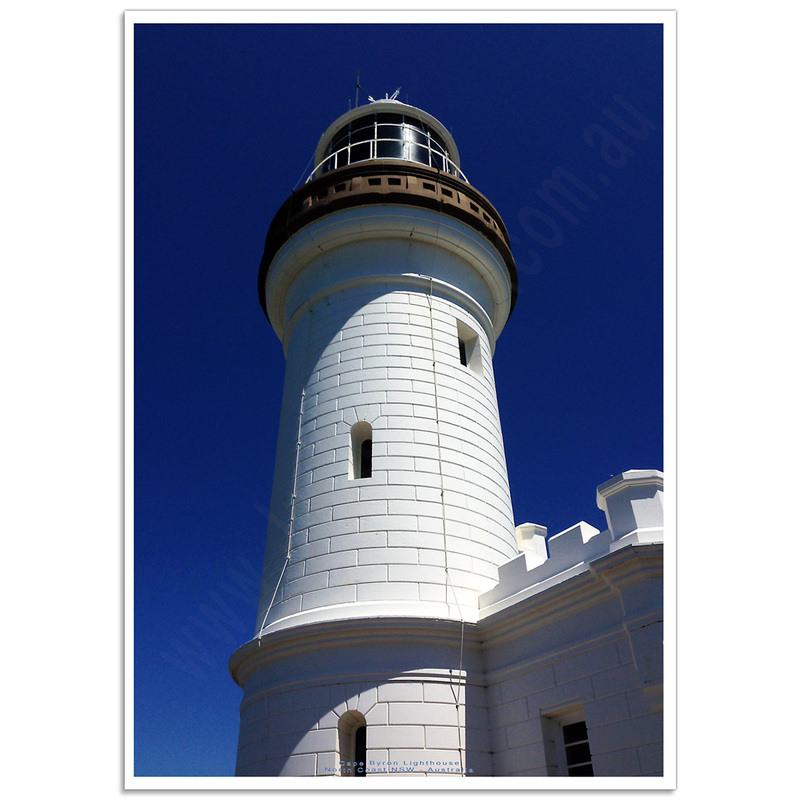 The Cape Byron Light is an operational lighthouse located at Cape Byron, on the northern New South Wales Coast in Australia. 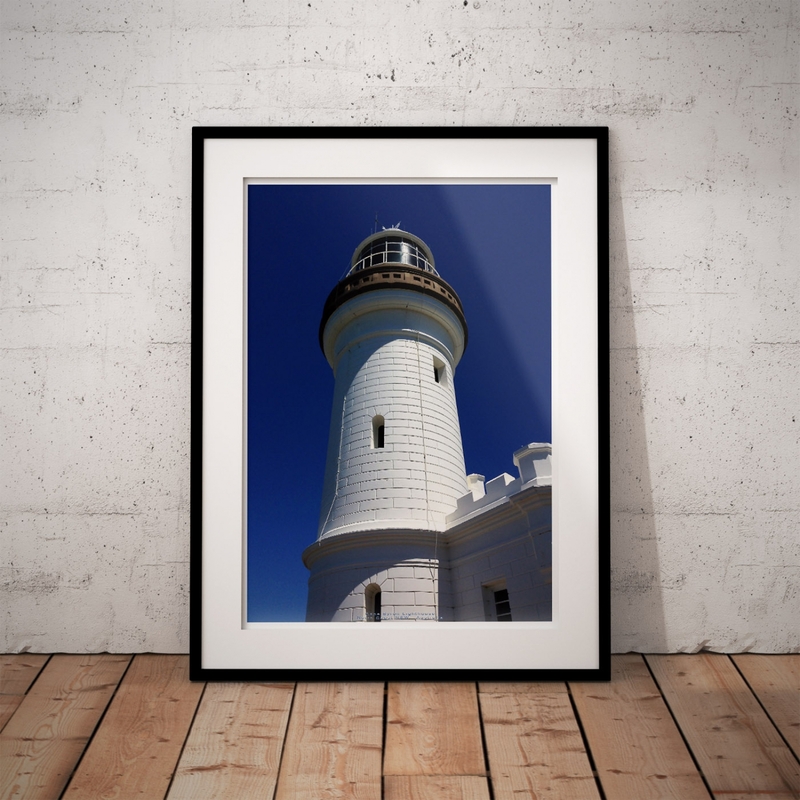 The Cape is the eastern-most point of mainland of Australia and the lighthouse is the most powerful in Australia. Construction of Lighthouse commenced 1900 and completed late 1901. The total cost was A£10,042 and in today’s money, this compares to approx. $2.8M Australian dollars. Commemorative banquet was held in November 1901. The Hon. John See was Premier and travelled from Sydney in the government steamer 'Victoria'. Steam trains carried visitors from Lismore and Murwillumbah. The lens in use today is the original, it’s 2 metres (6 ft 7 in) diameter, weighing 8 tonnes. It contains 760 pieces of polished prismatic glass and floats in a 360 kg (780 lb) bath of mercury. 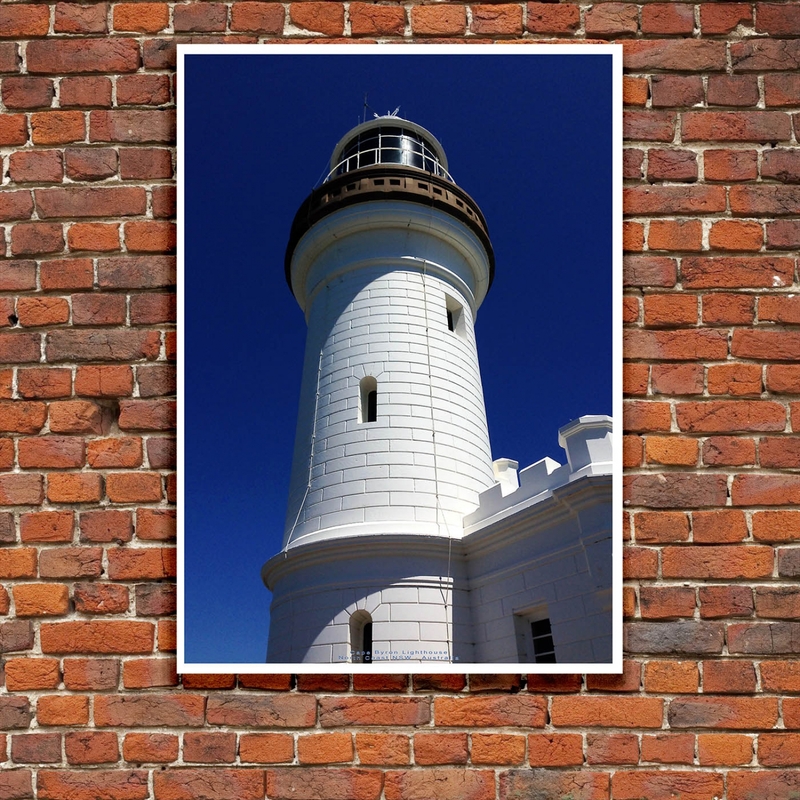 It was the first lighthouse in Australia with a mercury float apparatus. The apparatus rotates during daylight hours as a safety precaution reducing the risk of fire from the sun's rays. The lighthouse station became fully automated in 1989 and no longer employs a lighthouse keeper. The light is operated by the Australian Maritime Safety Authority and the site is managed by Department of Environment, Climate Change and Water. 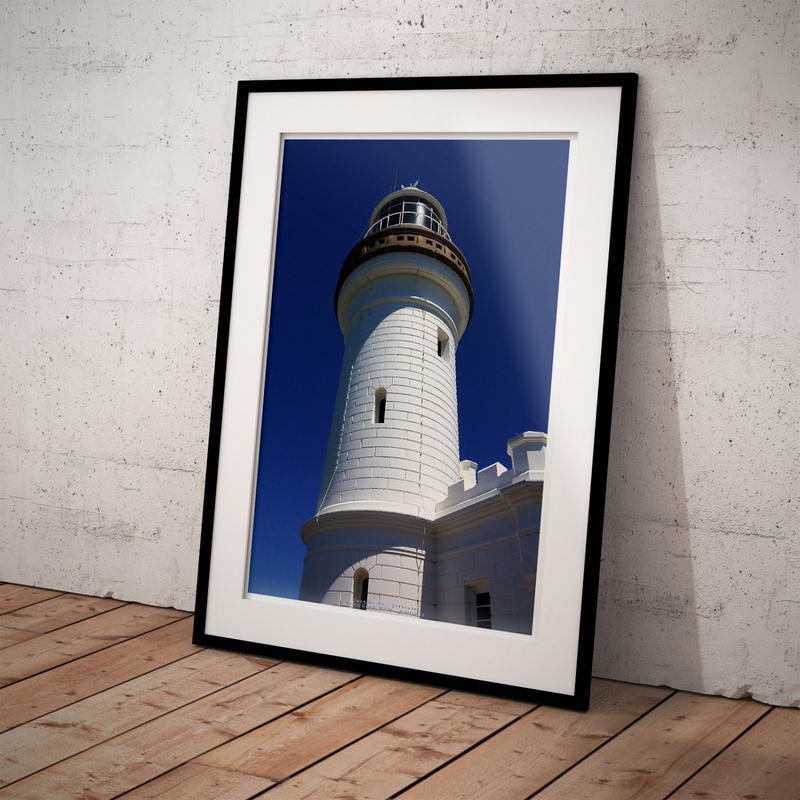 The Byron Bay lighthouse is an Australian icon and very well-known by domestic and international visitors. This glorious place includes the Southern Cross University's Whale Research Centre and the perfect place for whale watching. 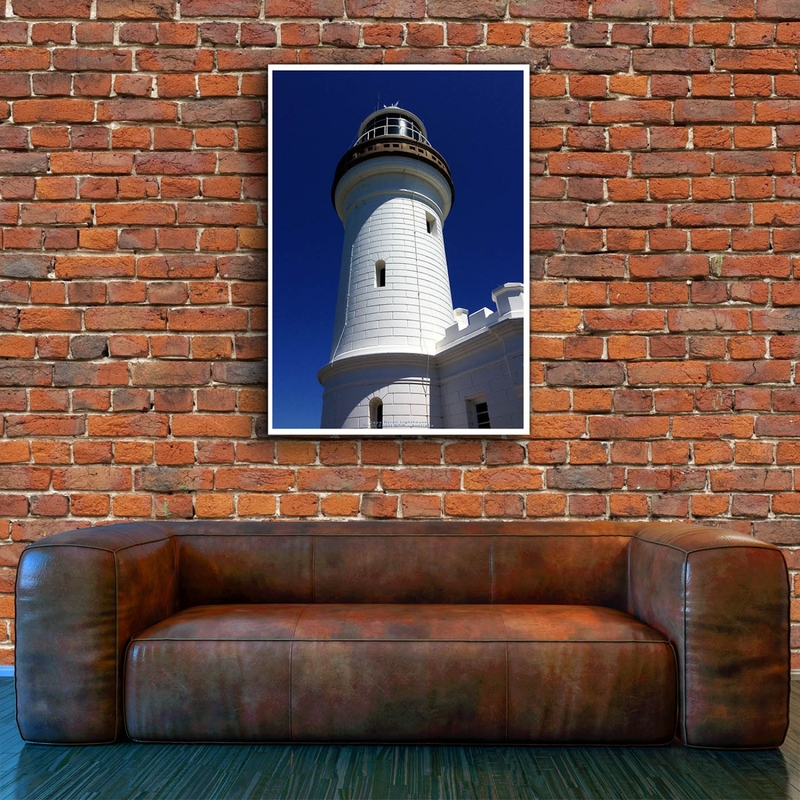 The Cape Byron Lighthouse poster is a reproduction of an original Photograph. Click here for more NSW, Australia Posters.